We are committed to further diversifying our procurement of LNG to safeguard the stable delivery of affordable supplies of LNG. As Asia leads the expansion in global demand for LNG and deregulation increases the likelihood of greater volatility in LNG demand in Japan, we must be more price competitive and flexible in our LNG transactions. In the years ahead, we will seek to increase the flexibility of LNG procurement through measures such as raising the ratio of short-term spot procurement while taking advantage of our partnerships in Japan and overseas to enhance the efficiency of transportation and adjust inventory in our transactions. We will broaden our procurement sources from conventional sources mainly in Asia and Australia to a wider range of regions around the world, including North America. We will seek to diversify contract conditions from being primarily linked to crude oil prices to incorporating multiple benchmarks such as the Henry Hub price and gain greater destination flexibility by eliminating destination clauses. We will seek to acquire gas fields, power stations, etc., on a global basis. Developing an LNG network linking Asia, North America and Europe will lead to reducing regional disparities in market prices and create an environment for more flexibly adjusting supply and demand. Since Tokyo Gas began procuring LNG from Alaska in 1969, our LNG imports have steadily risen to meet growing demand. The company currently imports LNG under long-term contracts with 13 projects in 6 countries, including Russia (Sakhalin) and other countries in the Asia-Pacific region such as Malaysia, Australia and Brunei. In March 2016, we entered into a new contract for an additional purchase of approximately 200,000 tons per year of LNG from the Cameron LNG project in the U.S. Combined with the approximately 520,000 tons of LNG that we had previously committed to purchase from the same project and our contract for 1.4 million tons per year from the Cove Point project in the U.S., we now have access to several sources of LNG at prices linked to the Henry Hub Natural Gas Spot Price in the U.S. natural gas market. Furthermore, we are strengthening our partnerships with a variety of LNG buyers and other companies. Overseas sources include PetroVietnam Gas in Vietnam, Korea Gas Corp., and Centrica LNG in Europe, while partnerships in Japan include utilities such as Kansai Electric Power and Kyushu Electric Power. We are striving to ensure the stable, low-priced procurement of LNG by diversifying our sources and contract terms and by forming partnerships with buyers in Japan and overseas. 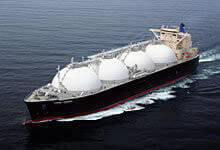 Through our wholly owned subsidiary Tokyo LNG Tanker Co., Ltd., we efficiently manage our own fleet of carriers, which transport LNG under long-term contracts from Malaysia, Australia and Sakhalin in Russia. Four LNG carriers with a highly economic design are being built to transit the Panama Canal, which will be used to ship LNG mainly from Cove Point in the U.S.